Steven Moffat | No Chic. Just Geek. When you run with the Doctor, it feels like it’ll never end. But however hard you try, you can’t run forever. I suppose it probably says something about my advancing years that I still think of a TV episode rapidly closing in on its eighth birthday as ‘comparatively recent’. But then again, we are talking (once again) about Doctor Who, where – in my mind – anything made this century is comparatively recent, and in order to count as ‘really old’ you’re talking about something made more than fifty years ago. I’m talking about Silence in the Library/Forest of the Dead, one of those rather inelegantly-titled full-length Doctor Who stories from the middle of 2008. I know I haven’t gone back to the show a lot recently, and don’t write about the comparatively recent stories very much (and the very recent stories not at all – note I am still just about capable of recognising recent stories as being, on some level, Doctor Who), so what has brought on this dip into the flowing stream of recent remembrance? Well, it was this year’s Christmas show, which rather to my surprise I found to be very enjoyable, in complete defiance of my expectations. You can complain all you like about Steven Moffat’s tendency to turn Doctor Who into a comedy programme, and of course I frequently do at great length to anyone who’ll listen, but when he’s actually setting out to write a comedy that suddenly seems a bit pointless. As a comedy, the Christmas show was sparkling stuff, but also – and this was what really surprised me – I found it very moving, particularly in its closing stages. This was mainly because, for me, the episode was paying off on so many emotional themes that had been running, one way or another and on or off, since 2008 and the story with the Library. It tapped into the great affection I have for the stories of the mid-late 2000s, in much the same way that by far my favourite moment of the Viking story, and possibly the whole season, was the flashback to The Fires of Pompeii. And (I’m suddenly aware I may be starting to sound like Anton Walbrook during his wonderful ‘truth’ monologue from The Life and Death of Colonel Blimp) I suddenly felt a great desire to go back and watch the story again – having seen its end, to watch its beginning. Or, having seen its beginning, to watch its end. I won’t deny there is a touch of the master artist in the way Moffat and his team have closed the circle so brilliantly, but that’s more to do with how the whole River Song storyline unfolded during the Moffat regime. There was no sign of that at the time, or really very little, and yet I still think this stands up as one of the greatest and most sophisticated stories of 21st century Doctor Who. 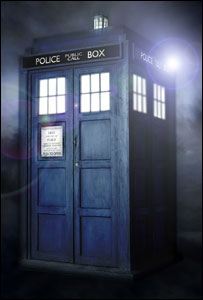 Even at the time, close followers of Doctor Who were aware that this story was making its debut at a time when the series was gearing up for one of its periodic transformations. The announcement that Moffat was going to be showrunning was made at just about the same these episodes were broadcast, or perhaps very slightly earlier (I know I was coming to the end of my Italian sojourn at the time, which dates them fairly precisely). I believe that it was actually on the set of this story that Moffat had to bluntly tell David Tennant to make his mind up about whether he was staying for another year or not, as he had to start writing what would ultimately become The Eleventh Hour the following Monday. And watching it again now, one can’t help but wonder how much of it was written by Moffat with a view to setting up the River Song storyline for when he eventually took over. It would be surprising if there wasn’t at least an element of that going on, even if the implied ‘you think this guy’s good? wait until you see the next one!’ subtext is rather self-aggrandising. At the time, though, I remember commenting that it was entirely possible that River Song would turn out to be a one-off character, and the whole mystery of the Doctor’s implied future here would turn out to have no more substance than the similar plot-thread in Battlefield. Hey, say what you like, but I’m never afraid to be wrong. I have to say, furthermore, that this story kind of nonplussed me the first time I watched it. From way back in around 2004, I was always pretty certain that of all the writers on the revived series, Moffat was going to be the one to watch, and the brilliance of the one with the gasmasks, the one with the clockwork robots, and the one with the statues only served to confirm that (I’m happy to say that I was flying the flag for The Girl in the Fireplace ahead of the likes of Doomsday as soon as the episodes aired). 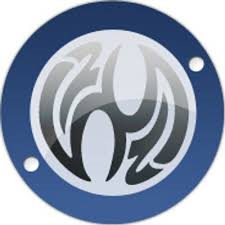 But this one? This one felt odd and different. Moffat’s first two scripts were just examples of brilliant ideas, executed with a laser-like precision, while Blink… well, Blink‘s another kettle of fish entirely – like City of Death, one of those genius Doctor Who stories that doesn’t sit entirely comfortably within the bounds of the series. The story with the Library – well, it’s carefully constructed so as to make things very clear it’s not just a story about a spooky library. 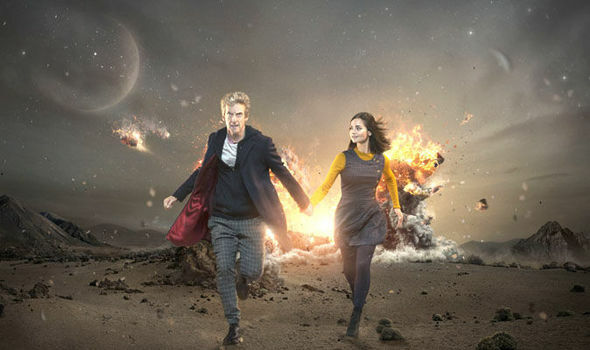 It opens with that sequence of the little girl (in an apparently contemporary home) talking about her dreams of the Library, into which the Doctor and Donna abruptly crash at the end of the teaser, and that sequence very clearly sends up flags to the attentive viewer: not everything is as simple as it seems. Rather than a single idea, by the end of its first instalment, the Library story seems to have exploded with an embarrassment of creative riches, concepts and plotlines bursting off in all directions. It is very nearly breathtaking – no, it is breathtaking. 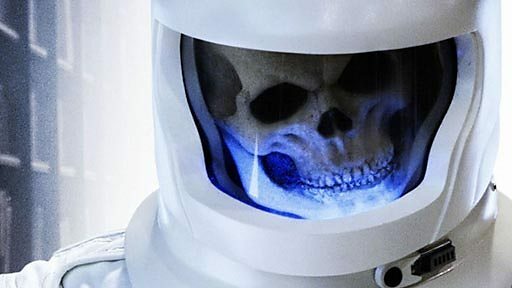 The concept of the man-eating shadows owes a little, I suspect, to an early X-Files episode, but the way Moffat uses them to service the grotesquely surreal concept of the Doctor and company being chased by skeletons in spacesuits is, once again, masterful. The conceit of the dead surviving as ‘data ghosts’ just seems like a bravura attempt at creeping out the audience, with no hint being given of what a huge role this will have in the resolution of the story. And this is before we have even got to the second episode, which introduces the idea of the ‘data world’ of the Library properly, and with it rather more philosophical issues than one is wont to find in the average episode of Doctor Who. What does it mean to be real? What does it mean to exist? Is the world into which Donna is transported actually a ‘real’ place, in some way? If so, why does it operate according to the fractured logic of a bad dream? The rules there resemble those of a surreal Sergio Leone movie: if something isn’t in frame in The Good, the Bad and the Ugly, the characters are unaware of its existence even when they’re standing right next to it. The limits of the screen define their world, in just the same way that the editor’s technique shapes Donna’s existence. It’s a very grown-up conceit from a story which ventures into some very strange and dark places, and which surely pushes at the limits of what a family show can get away with – never mind the horrible images of grinning skulls behind space helmet visors, the various scenes of young children either vanishing or accidentally ‘switching off’ their parents are simply messed up. I can see some kids getting quite traumatised by this sort of thing. In the end, of course, Moffat’s legerdemaine gathers up all of these threads and contrives a story where no-one actuall dies, and everything comes together in a very satisfying way – the shadows, the empty library planet, the data ghosts and the little girl all turn out to be fundamentally connected in a wholly satisfying way. The only thing which feels arbitrarily added in, of course, is the element which gives the climax of the story its great power: the mystery woman, River Song. 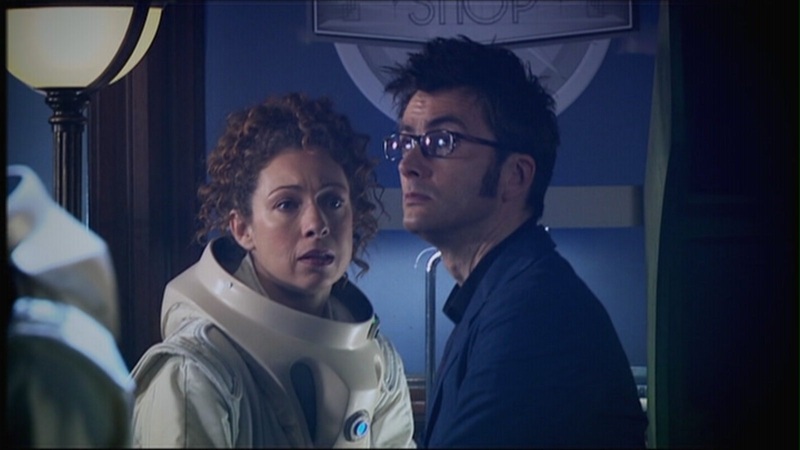 It’s strange to watch the story again now – the first few times, of course, one’s viewpoint character was the Doctor, but now it’s just as easy to see the story through River’s eyes, knowing who she is and what is to come for them both. I must confess to being equally nonplussed by the end of the story, the first time I watched it – but then this was very late at night, after an extremely long day largely spent making flights on budget airlines between southern Italy, central Germany and Manchester (though I should report that Stuttgart is an extremely pleasant city on a nice day). It was only a bit more than a year later that I paused to watch a repeat of River’s final scene and found myself so profoundly moved by it (it is one of the very few scenes in Doctor Who which consistently makes me cry when I watch it – for the record, the others include the Master’s death in Last of the Time Lords and Tom’s cameo in The Day of the Doctor): not just by the performances of the two actors (though David Tennant, need it even be said, contributes as much to the scene as Alex Kingston), but by the awful pathos of the basic ideas involved – she dies for him, in the full knowledge that he has no real idea who she is and is thus unable to say goodbye properly. He watches her die for him, knowing who she will be in his future, but with only a vague theoretical idea of their relationship, no emotional substance. I mean, as an actor, how do you think yourself into that kind of situation? Where do you get your references? You really can’t say too often how much effort David Tennant is putting into every single episode he appears in. It’s that moment which the most recent episode taps into for so much of its own wallop, which (as I think I said) may explain why I enjoyed it so much. The story with the Library is Doctor Who soaring, going all cylinders, and (again) with retrospect, it’s very easy to see it all as Moffat figuratively proclaiming that this is what the programme can be, and will be, all the time now that he is in charge! …sigh. And here we are eight years later, and I have watched most of the episodes of the most recent series only once apiece, and most of those with a dull sense of anger and frustration, and I do not own a single Capaldi episode and doubt I ever will, because I am not spending my or anyone else’s money in support of a so-called curatorship that has as little grasp of or respect for the classic characters of the series as Moffat’s seems to. If, as seems standard, Capaldi only does three series, and if, as seems likely, Moffat insists on imposing his own ideas about Time Lord identity, then very soon I will not be watching the programme at all, because it will have stopped being the programme I have loved for the vast majority of my life. And I wonder just what went wrong, and how we got from The Girl in the Fireplace and Blink and the story with the Library, to Dark Water and that story with the Daleks being overthrown by their own renegade plumbing. And I wonder if I will ever really understand Steven Moffat, and how the same person can write both. But, I can’t deny it: those Eccleston and Tennant stories are sublime. Those stories alone put him on the list alongside Robert Holmes, Terrance Dicks, Malcolm Hulke and the other immortals. It makes perfect sense that he should have been invited – even begged! – to oversee the series. I can recall my own excitement and anticipation when the great handover took place. Those were good days. The programme was on a high, and it felt like it would never end. The main thesis of the piece was that in the case of both Simpsons and X-Men, the main problem is that they are now under the control of people imposing a misguided vision of what the series was actually supposed to be in the first place. The Simpsons, when it was truly great, was less about it being anarchically post-modern, and more about its very traditional narrative virtues: consistency, characterisation, world-building. In the same way, the classic Byrne-Claremont X-Men stories are not really about vast hyperbolic storylines and outrageous superpowered battles, but are instead the ongoing, almost soap-like saga of a bunch of well-defined characters with a particular genetic quirk, their lives and their relationships. I was rather impressed by the fellow’s thinking and it did lead me to wonder if the same kind of analysis might be illuminating when it comes to Doctor Who. It certainly meets the mythological requirement, and while I’ve no idea of the state of the fanbase (even the very word seems to me to imply a degree of homogeneity that I’ve never seen any evidence of), I would certainly agree that the show is not really at its best at the moment – although I suspect we might disagree about whether the Golden Age was at its peak in 1976 or 2008, to name just two possibilities. Of course, this leads us to the question of what kind of programme Steven Moffat thinks great Doctor Who is, and how he could be mistaken about this. Certainly, watching The Caretaker I was very aware that – for some of the time at least – this was absolutely not a straight drama. In fact, would it be completely ridiculous to say that, these days, Doctor Who is a comedy-drama series? One of the problems with Matt Smith’s final episode was that it was studded with comedy set-piece moments, most of which were completely irrelevent to the plot, and Moffat himself is fond of talking about the character as ‘silly old Doctor Who’. I couldn’t find it in my heart to describe Drivel of Sherwood as anything other than an attempted comedy. The Caretaker seemed to me to be even more up-front than usual about its assault on the chuckle-muscles, and while I was initially very unsure about this, it outflanked my scepticism through the novel tactic of actually being genuinely funny – the joke about the Doctor assuming Clara’s boyfriend would be his own one-time lookalike had me laughing out loud at length, something which the series hasn’t been able to make me do in an age. And then I was confounded again, as the episode suddenly started working as a drama too. 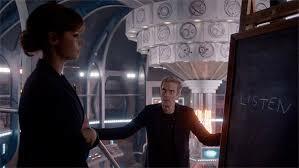 Let’s be honest, the monster this week was a bit of a Maguffin – although I am inclined to admire the subtle way in which the Doctor’s responsibility for its presence was left largely implicit – but the scenes between the Doctor, Clara, and Danny had a genuine sense of heft and significance about them the series has too often lacked recently. After many episodes off in Moffat’s timey-wimey fantasy world of ‘romantic logic’, it felt as if Doctor Who had crashed back into a space where decisions carry real consequences with them and bittersweet endings are not just things to be contrived for when the companion departs. So on the whole, the episode rather won me over. I am still, however, increasingly coming to think that – no matter how brilliant Peter Capaldi’s performance, and he has been uniformly good so far, even with the weakest material – we are not getting the Time Lord we have been advertised. I wrote the other day about the nature of antiheroes, the character who fights for a good cause without being a conventionally good person, and there have been touches of this in the Doctor’s character sometimes, in the past. With all the talk of Capaldi as a difficult, old-school Doctor, I thought we would be seeing this explored a bit more, but I don’t think this is honestly the case. Capaldi’s Doctor is an odd, angular character, who can be abrasive – but it seems to me that this is not primarily because he is an alien being with a different set of priorities and emotional responses – the ‘Olympian detachment’ of which Tom Baker, who epitomised these qualities most successfully, sometimes spoke. 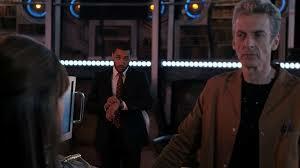 The Capaldi Doctor is not distant and difficult solely as a result of being an alien. He is distant and difficult simply because he has very poor social skills, which is a different matter entirely – he does care (observe his delight when he believes Clara has fallen for his human lookalike), he just can’t express it very well. To put it another way, this is not a quality of the Doctor, but rather one of his shortcomings, and as such it does feed into the theme of the season so far, which is that the Doctor is a horribly flawed man who really doesn’t like himself very much. I’ve spoken before about my misgivings about this idea and so I won’t rehearse my disquiet about it here again. I will just say that I would hope that the makers of the series might find some way of expressing just why it is that the Doctor is worth watching and caring about, why he really is a genuine hero, without endlessly qualifying it this way. Perhaps that’s the difference between Moffat’s current conception of what Doctor Who should be and my own. Well, much in the manner of Time Heist itself, let’s not muck about, and cut straight to the chase: I didn’t hate this episode, but neither did I especially like it either. At the moment I am having to remind myself that Doctor Who is in many ways like a supertanker – once you turn the wheel, it takes a very long time for any course change to become manifest. Thus Matt Smith’s first season is the one most strongly resembling any of David Tennant’s, even as Graham Williams’ first year as producer contains a couple of stories which could conceivably have made it into one overseen by Philip Hinchcliffe. So in light of this, it’s not really surprising that some of this year’s stories resemble those from recent seasons: any of the more glitzy and lavish futuristic ones, to be honest – I’m thinking of Rings of Akhaten, Gridlock, you know the sort of thing. Nor that the story unfurled at the sort of headlong, manic pace that we were promised the series would be moving away with the new Doctor. Anyway, there was a lot of running around and spectacle in Time Heist, and to be perfectly honest neither I nor any of the people I’ve spoken to have managed to find any flaws in the plot, but then again I haven’t really found myself inclined to dig too deeply into it. Not surprisingly, there was a definite Sherlock flavour to the plotting this time around, although I do think it suffered a bit from being crammed into a 50-minute timeslot. There was a lot to follow and perhaps not quite enough reasons given as to why we should make the effort. Still, the episode was not without moments of interest for the more thoughtful onlooker. The roll-call of famous villains rapidly scanned through at one point in the story promises a veritable feast of Easter Eggs – I think I spotted the Gunslinger from A Town Called Mercy at one point, but much more interesting was a fleeting appearance by Abslom Daak, Dalek-Killer. It would be fun to speculate as to the degree to which this now makes Daak and his various escapades canonical – not very much, I strongly suspect – but if nothing else it’s a nice tribute to the late Steve Moore. Just as long as this doesn’t provoke the Slaves of Kane to re-release their dreadful Daak-themed disco record. The closing twist concerning two monsters being in love with each other did not do a lot for me, not least because the show already played exactly the same card last year at the end of Hide. One friend of mine has already been rather scornful as to the prospects of Mr and Mrs Teller, given there are only two of them left to rebuild their entire population, but given SF has a long history of this very same trope – to say nothing of the way Doctor Who has indulged in it in the past, too – I’ll let it pass happily. I’m less inclined to overlook the way Mr Teller effectively murdered numerous people for the bank and was completely let off this, but that’s just me: I’m just a bit of a puritan about these things (don’t get me started on Willow from Buffy being given a pass for a horrible, brutal, cold-blooded murder). And, finally, when the dust settles and people start to give reasoned verdicts on the Moffat era of Doctor Who, I think one of its more unexpected additions to the mythology is its idea of a Doctor who seriously doesn’t like himself. This first really showed up in Amy’s Choice, with the Doctor’s self-hatred made manifest as the Dream Lord – but it’s recurred since then, not least in Time Heist‘s revelation that the Architect whom the Doctor hates so much is really… well, anyway. It’s not quite in the same league as previous episodes built around the Doctor’s various foibles and character flaws, but even so. It would be great to get an episode which didn’t seem to feel the need to qualify his heroism or put him down somehow. Normally I would have said that Gareth Roberts could be relied upon for something like that, but at this point in the year, all bets are off. Okay, for anyone who’s been following along: the trip to Spain was very nice, thanks, although obviously I got sunburnt (the birthright of any Englishman abroad, surely). Thanks to a little research, I did actually manage to have a brief tour of locations from The Two Doctors in the heart of Seville – not that I would necessarily have recognised any of them had I not looked them up in advance. At least it went better than a similar look round Gibraltar in search of locations from The Living Daylights, the next day, mainly because I neither had time to prep properly or look around on my own. One of the advantages of being abroad and cut off from iPlayer was that I got a definite sense of the critical reaction to Listen before I actually watched it (I suppose I could achieve the same by just not actually watching the episode on transmission and hanging on for a few days – yeah, like that’s going to happen). The response was generally positive (though, mystifyingly, you could really say the same of Farrago of Sherwood), and this was oddly relaxing, even though I know I’m wildly out of step with many elements of mainstream Who fandom nowadays. I can’t help feeling that doing a ‘normal’ episode was a heroic gesture on the part of Moffat, as it arguably constituted a no-win scenario for the guy – muck it up and he would just hand more ammunition to people crying out for him to get a move on and, er, move on (yes, that’d be me), produce another Blink and the same people would just be calling him the 21st century Christopher Bidmead or Eric Saward: much better suited to simply writing one or two scripts a year than actually setting the programme’s creative direction. I do still have a certain fondness and respect for Moffat, so I was expecting to take the latter line. Actually, this is not the easiest response I’ve ever written, as I’ve only seen Listen once so far. Normally I’m quite happy to watch an episode twice in the space of not much more than 12 hours, but this one had such a strong and unusual flavour to it, and elements of it hung around in my head for so long, that I’m almost reluctant to watch it again too soon: I want to savour and reflect on the first impression it left on me. Most of which was very positive indeed, I have to say. I could, as the kids say, totally get with a Doctor so fierce and driven by his desire simply to find things out, even if his obsession in this episode initially seemed to whip itself up out of nowhere. I liked the pace of it, the talkiness, the strength of the atmosphere created by the story. I especially liked the fact that throughout I had absolutely no idea where it was going. In short, if this was to become the house style of Doctor Who from now on, I would be a much happier person. But, alas, I have to address the final third of the episode, which – wouldn’t you guess – I had Issues with. These fall into two main groups, at least one of which is heavily spoiler-infused, and so here is a nice picture from the episode to give you a chance to avoid them. The canon-cop stuff first, which is possibly less important: I know the story was at pains to point out that the TARDIS’ final journey of the episode was a freak occurrence, and usually safeguarded against, but is anyone remotely convinced by that? If the past (or future) of Gallifrey was this easily accessible by TARDIS, surely someone would have hit upon it before now. As far back as the 1980s the people at FASA had shrewdly deduced that getting access to the past of Gallifrey would be one of the Master’s main objectives. The value of the chance to pop back and warn previous generations about things like the Vardan-Sontaran invasion or the Time War would surely have occurred to other Time Lords, as well. Like most people I had assumed that the inaccessibility of Gallifrey’s future and past was a ‘physical’ barrier, possibly connected to the Time Lords’ privileged position as the effective gatekeepers to the time vortex. I suppose you could argue that this was a self-imposed ban and the Time Lords aren’t there to police it any more, but I don’t buy this, unless TARDIS travel into Gallifrey’s own past is so tremendously dangerous that even a race as self-serving and devious as the Time Lords were reluctant to risk it. Even then, the Doctor has taken humans into their own planet’s past without apparent risk on innumerable occasions, so why should it be any different for natives of Gallifrey? I fear this is once again Moffat writing something for the benefit of a particular episode, without considering the wider implications for the rest of the series’ universe. I’m also becoming a little concerned about the running theme of this series, which seems to be a concerted attack from all angles on the character of the Doctor as we know him. The fact they’ve chosen to do so after creating such an old-school version of the character is especially worrying. Look at it this way: Deep Breath is largely about Clara (and to some extent the Doctor himself) questioning if he’s really still the same person. 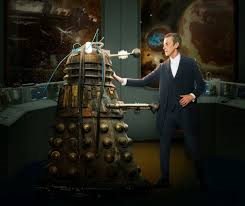 Into the Dalek was primarily concerned with the Doctor’s capacity for prejudice and hatred. The episode which is not to be named depicts him as petty and stupid. Listen is partly about his obsessive, dangerous curiosity, but much more about the fact that he is motivated by the need to conquer his own fear. Self-doubt, prejudice, hatred, pettiness, stupidity, fearfulness: an odd suite of characteristics to focus on in your protagonist. It may just be that they’re looking for new angles on the character, but come on: there’s a whole new Doctor to play with, you should hardly be short of those, and they don’t all have to be negative, surely? And let’s not forget the lessons of the past – thirty years ago they experimented with a less openly-heroic Doctor, a more (apparently) flawed version of the character – and what resulted was arguably a prime factor in getting the series cancelled for 15 years. It all leads me to wonder just how committed everyone involved is to the Capaldi Doctor – could it be that they are all just covering themselves, keeping their options open preparatory to a quick and – oh dear – More Radical recasting of the part? I do hope not, not least because – in this episode in particular – Capaldi has really shown he has the chops to be a truly iconic Doctor. Hopefully the next few episodes will give us a slightly more positive take on the character. You know what, two weeks in and that new arrangement of the theme tune is already beginning to be gratingly shrill: it’s almost starting to sound like how the music might have been realised back in 1963, had Verity Lambert hired the Tornadoes to do it. I am getting ahead of myself. The most obvious thing to say about Into the Dalek is, obviously, that the plot makes more sense than that of Asylum of the Daleks: but then I would imagine that many of the home-brew stories written at home by primary-school children make more sense than Asylum of the Daleks. Beyond that, well, you can look at the story as a piece of narrative carpentry, and then on a more thematic level – and I suppose it’s a point in Into the Dalek‘s favour that the theme of the story is so completely realised, which isn’t always the case. But first, the woodwork. Steven Moffat has been in charge of Doctor Who for a fair few years now, so I suppose that we shouldn’t be surprised if an element of repetition begins to appear: certainly there was quite a lot in this story that I felt I’d seen before. Obviously a huge amount of Dalek, but also bits and pieces from a bunch of other stories. Is it too soon to declare the new Dalek Paradigm dead, by the way? Not a sign, not a mention of them anywhere in this story – can we have the Dalek civil war from the Experience walk-through declared canon and just say the bronze Daleks blew them all up? The use of the bronze Daleks in this story may simply have been down to the availability of prop casings, but possibly also for aesthetic reasons – I shudder to imagine how garish and plasticky the inside of the tellytubby Daleks must be. Interesting, also, that there was no attempt to locate the Dalek menace in this story, either in terms of space or time: they finally seem to being back to their old status as a general-purpose threat to lifekind. The only real question, then, is surely why they haven’t actually conquered the universe, given this is the same breed of super-advanced Daleks that fought the Time Lords to a standstill in the Last Great Time War. Apart from that I thought the plot was fairly decent, if a bit gimmicky: someone should tell Moffat that there’s a generation of children growing up who haven’t seen an old-school Dalek story, and he might be able to profitably lay off all the soaringly high-concept nonsense for a little while (perhaps exhibit B in favour of regime change). My main criticism was that it wasn’t really made clear what the purpose of the mission into the Dalek was – people were actually saying things like ‘this Dalek has been damaged so badly it has become good’ so it did seem strange that they were apparently intent on fixing the damage, and it also robbed one of the story’s reverses of much of its shock value. And were we not promised that this year we would be back to standalone stories? Is Michelle Gomez going to be in every episode as the mad woman with the brolly? At least she was less of a plot device this time around. I was alarmed to come across a rumour that her character – the Mistress – is a new version of the Master, which as long-term readers will know is something I would have a deep-seated and intractable objection to, on principle. Fingers crossed good sense will prevail, or that at least there will be acceptable wriggle room. On the whole, though, this did feel rather like a Matt Smith story, without much of the thoughtfulness or atmosphere of Deep Breath lasting very long into it: unless you count the bookending scenes with Danny Pink. Samuel Anderson is clearly a performer with screen presence, but his stuff did feel a little forced and obvious – if this is a man reduced to tears merely by remembering his experiences as a soldier, is he really psychologically capable of doing a stressful job like teaching? Still not quite sure what to make of the new Doctor’s character. The spikier and more Scottish he is, the more I like him – but many of his scenes when alone with Clara seem to suggest that this is just a front and underneath he is really as soppy and fluffy as Matt Smith ever was. Giving a Dalek a cutesy pet name is pure eleventh Doctor – I laughed very long and hard at the suggestion from a friend of mine that the name ‘Rusty’ indicates Moffat has some sort of fixation with his predecessor as showrunner. Given this, it is a bit odd that the theme of the story is that the Doctor is clearly not a perfect hero, but a man with prejudices of his own, someone occasionally in thrall to his darker emotions. The irony, of course, is that a man who hates Daleks and has no time for soldiers is a good Dalek himself – as nice a reformulation of ‘fascist liberalism’ as you might wish for. 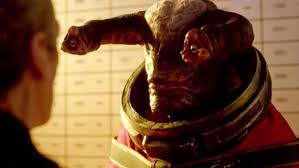 Again, I thought some of this was a bit overdone, especially the Doctor’s rejection of the Zawe Ashton character – it’s almost too obvious to mention, but at least one of the Doctor’s closest friends was a career soldier, after all – but it did provide a strong thematic core to the episode. And, as I’ve seen pointed out elsewhere, what’s the problem with hating the Daleks? The Daleks are, after all, essentially a sentient, highly technically-advanced equivalent of the ebola virus, intent on and capable of wiping out everyone in their path. This is their nature; they are anathema to everything we believe in. Maybe it’s as irrational to hate the Daleks as it is to hate a virus, but there’s nothing wrong in seeing them as a threat to be eliminated as quickly as possible. Things being as they are, I am happy to overlook the potential inconsistency in the nature of the Daleks, or at least the lack of a mention of the fact that their charming personalities are largely the result of genetic engineering, with no need for some sort of high-tech commissar within the casings themselves (which, by the way, are much hollower on the inside than I would have expected). But anyway, on the whole another episode which I enjoyed more than I wanted to scream at. I have more or less come to the conclusion that any Steven Moffat-overseen episodes I genuinely love are going to be highly-unusual flukes rather than regular occurences, but this series is doing okay so far: I’m curious to see how they handle doing a funny one next week, but curious in a positive sort of way.